Your product development has been rigorous; your design and engineering specifications determined. Now it’s time to show others your new product. Before springing to production, you will need a prototype. 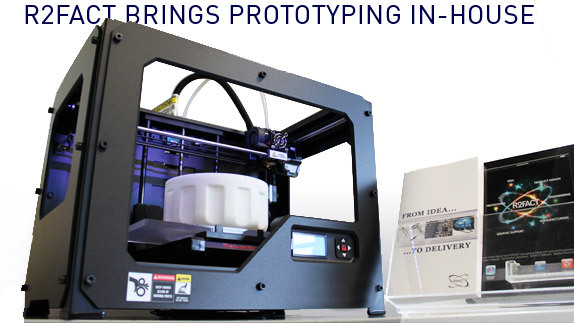 R2FACT Product Development’s prototyping process guides your product idea through the development of quick Mock Up Sketch Models, to a Proof of Concept feasibility test, 3D CAD, Virtual Prototypes, Rapid Prototyping from a 3D printer or CNC, and ultimately a Working Prototype. Does your product idea require Technical Feasibility or User Testing? Will you attempt to license your IP or Direct Manufacture? Do you need to Acquire Funding? Your answer will determine the Prototyping Method selected. Check out a variety of Prototype Methods above.